Yesterday, Nexon has released its biggest updates this year for MapleStory. 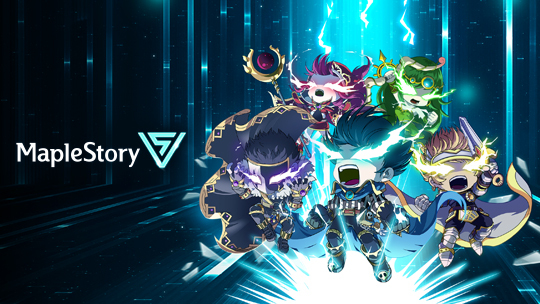 It's time for fans of MapleStory to celebrate as the V update, which called the biggest in nearly ten years, has received its long-awaited additions and enhancements. V Update brings new depths to the game by giving players 5th Job advancement skills, a reduced leveling curve providing quicker progress for fans eager to try the new content, as well as removal of the damage cap for maximum power and much more. V Matrix Skill System – The V Matrix Skill System allows heroes the freedom to choose the advanced skills they want to master, combine their favorite skills to increase their power or enhance existing abilities for even more power. Easier Leveling – Players can quickly reach their full potential and experience all the unprecedented V update offers, with easier leveling. The amount of experience needed to reach Level 200 has been lowered by thirty percent, making it easier than ever to become the ultimate hero of Maple World. A Host of Improvements – The V update also brings a substantial amount of player-requested enhancements to the game, including UI improvements, all new quest lines and in-game events, an increase to 128 total inventory slots and much, much more. The 5th Job arrives! Check out the content update guide video below! Do you want to experience the V update? See the official patch notes for the 5th Job here and start!